The Introduction to Instrumentation textbook provides a thorough overview of instrumentation, and is suitable for students going on to careers in food processing and related industries. It is also suitable as a general introduction or first course in instrumentation—covers process control and signals, the foundations of measurement instrumentation, and temperature and pressure measurement. Does your curriculum require additional topics not included in this textbook? 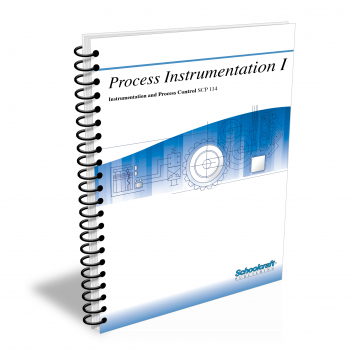 Build a customized version of the Introduction to Instrumentation textbook below. Explain the difference between an open loop and a closed loop. Define error, feedback, disturbance, and feedforward control. List several kinds of process sensors and describe the operation of each. Explain how accuracy, resolution, sensitivity, linearity, and step response affect sensor operation. Describe the functions of process controllers, recorders, signal conditioners, and final control elements. Explain the basic operation of a typical control loop.